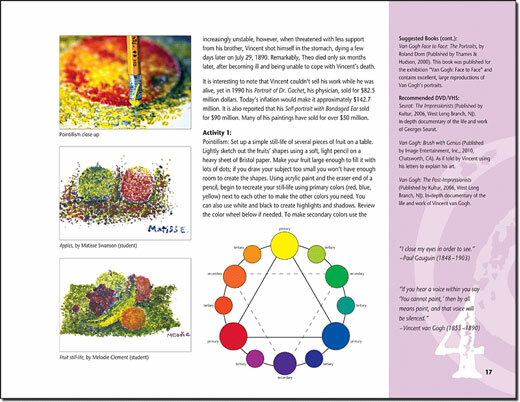 Fine art credit for high school homeschool students is many times the hardest task for parents to figure out. Drawing on History takes all the worry, headache, and stress out of the equation. 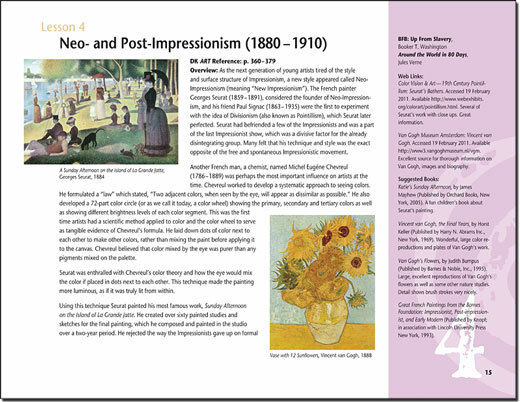 Drawing on History, Pre Civil War–Vietnam covers one year of required high school fine arts credits, giving the student an overview of many of the major art movements from Romanticism of the 1830s to Psychedelic art of the 1960s. This book was written to parallel the Beautiful Feet U.S. and World History curriculum, but can stand alone or be used to enhance any world history curriculum by teaching hands-on art lessons for each time period. While creating art in the style of the masters, students will gain a better understanding of world history and art history as they unfold together. As homeschool educators it is easy to focus on the academics and forget about the arts altogether, especially if you are not artistically inclined. In recent years there has been a lot of research done that is telling us that an art-rich education actually helps boost academics! 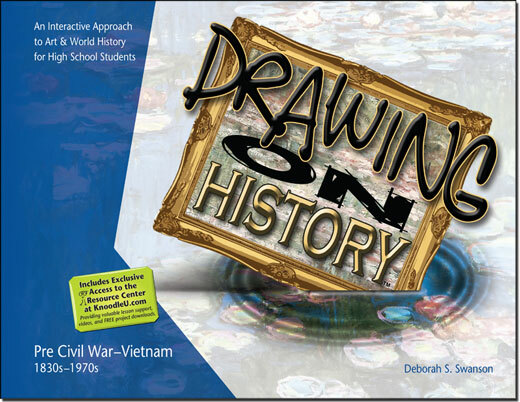 Deborah Swanson, homeschool mom, author, graphic designer/illustrator, writes Drawing on History for the non-artist parent desiring to give their students a richer look into art and academics. Deborah has a bachelor of fine arts from Otis Art Institute, Los Angeles, and has a busy design studio on the central coast of California. KnoodleU™ (ka-noodle-u): a fictitious word meant to represent a place, an action, or an idea; primarily to use your brain (your noodle) in order to create art and express yourself without limits.